Marquee Event Rentals | Tent Rental | Serving Texas, the Midwest and Southern U.S. Marquee Event Rentals goes beyond the basics to design, engineer and produce amazing events. From backyard celebrations, to festivals, weddings and custom designed tents we have you covered. Our vast inventory goes over and above a standard frame tent and includes the largest structure tent inventory in Central Texas. Once a Marquee Tent defines the event footprint our lighting, décor, flooring and other accessories are all integrated to bring each client’s unique vision to life. 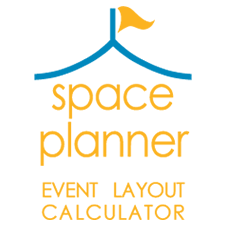 The Space Planner can tell you. Plug in your event size and needs and we'll tell you the best size tent for your event. Find everything you need to complete your event. Tables / Chairs / Linens / Lounge / China / Glassware and More! with locations across Texas, the Midwest and Southern U.S.